Actor Ben Affleck believes finding solutions to problems using violence is endemic to men but he agrees that the idea of masculinity needs to be redefined in the post #MeToo era, report The Indian Express. The actor says that majority of the people pointing guns at each other and killing one another are men is a hard truth. “I’m sure upwards of 95 per cent of the people pointing guns at each other and killing one another are men. That is simply true. 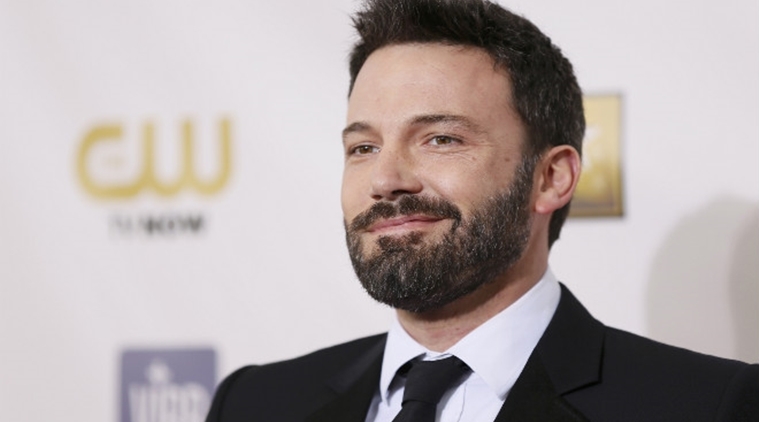 “This kind of violence is perpetrated almost exclusively by men, not that obviously women aren’t victims of violence as well but that this certain kind of problem solving through violence is endemic to men,” Affleck told PTI in a group interview while promoting the Netflix film Triple Frontier here. The actor stars as one of the five former Special Forces operatives in JC Chandor-directed action thriller. Set in South America, the film sees war veterans pull off a seemingly successful heist at an infamous drug lord’s house, at the end of which they ironically end up losing more than the spoils. Affleck said Chandor wanted to examine the violent behaviour with critical eye. “It’s an interesting question that ‘Why is this that the way we think of solving problems at the point of the gun is going to lead to a solution?’ It never has, it rarely has and yet we keep on thinking ‘Yeah, there’s this problem and we show up with tanks and guns and kill a bunch of people and then things will get better’,” he added. The film also stars Charlie Hunnam and Garrett Hedlund, who accompanied Affleck. Hunnam believes Triple Frontier is not a film that celebrates “toxic masculinity”. “It’s a specific story about specific people. The real world reality is that this (Special Forces) area is dominated by men. It’s slowly changing I think there are a couple of female Navy SEALS, Rangers and DELTA. “So I know that we kind of explored that question whether or not the mission would have unravelled in quite the way it does if there had been more gender equality that we had a woman’s point of view in there,” he said. The actor, however, added the vice of greed is not exclusive to men. “One of the main areas that precipitates this thing unravelling partly in this fashion and on grounds as it does, it is greed. And it’s certainly not exclusive to men,” Hunnam said. Hedlund said the film attempts to explore the trauma war veterans go through and their life after coming home is an underlining theme. He added that it’s about the reintegration of soldiers back into the society. “I think that’s something is an underlined issue that will stand out,” he said.